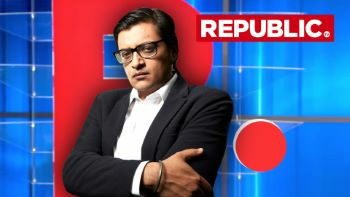 The latest hot topic when it comes to news as everyone knows is, a Republic TV reporter who reported some fake news ahead of Bawana constituency election. This news has become very viral as it is in such a way that it defames the minister. Imran Hussaain. The reporter tweeted a false poster saying that Minister Imran Hussaain is doing Muslim appeasement politics. But the truth is minister never did such a thing and so he denied this allegation and AAP filed a FIR on this issue. The other main reason why this news has become a very big issue is because the reporter is from Republic TV and this channel is funded by BJP Rajya Sabha MP Rajeev Chandrashekhar. This isn’t the first time something happened like this because of that reporter and so AAP says that he is doing all these things as he is getting instructions from BJP. Speaking on this issue Imran Hussain said that:- using my name a fake poster was made and so I’m denying this and will take a serious action on this issue. There were also many tweets from the member of AAP saying that this is completely false and never such a thing happened. 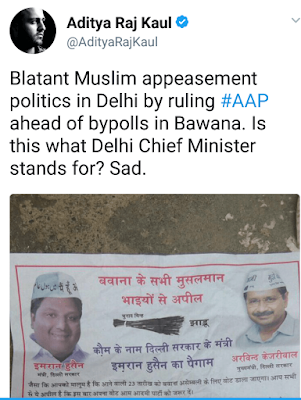 Nagendra Sharma denying this issue says that ” Republic Tv is crossing all it limits- BJP mouthpiece has printed a fake AAP poster and all other reporters are circulating it”. FIR is filed by AAP as it is a very serious issue. And this may be considered as serious as the election is scheduled in 36 hours. It can be said that reporters these days are the distraction both on and off the field. It’s a basic and main duty of a reporter to make aware of society and people about the wrongdoing and latest highlight news. But some reporters these days are reporting such false news which causes serious trouble and here is an example for that.